Nostalgia for an old video game is one thing, but nostalgia for an old video game that’s an adaption based on an equally old property is an entirely different beast. Some of the reverence that’s held for a niche title isn’t always attributed to the game experience, as it can sometimes be associated with the media that it ties into -- adding an entirely different pair of rose-tinted glasses to our memories of those pixelated adventures. 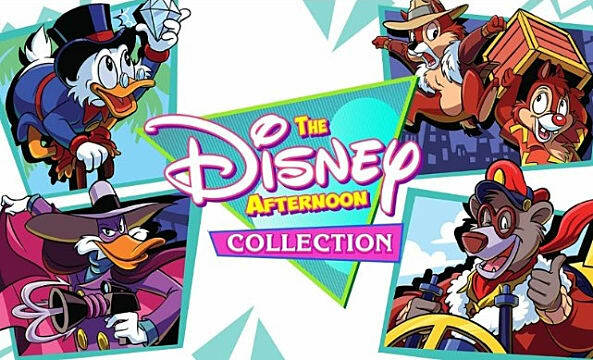 The Disney Afternoon Collection isn’t simply just a bundle of cult-classic Nintendo games that you’ve heard a thing or two about from some old nerds on a retro forum -- it’s a meticulously crafted package that’s filled with content and permeated with a wealth of history, along with appreciation for the legacy it represents. 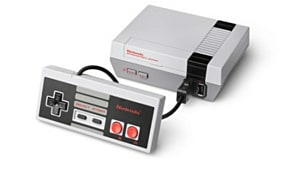 Which adds so many layers to the new bundle of NES classics by Capcom; from their work with Various Disney franchises. 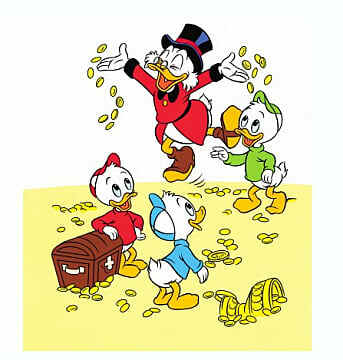 I don’t think I’ve ever been more sentimental about a group of cartoons than I am with the faces featured here (I don’t think that there’s a week that doesn’t go by where I take the opportunity to remind the Internet of my love for the feathered bazillionaire, Scrooge McDuck.) It goes without saying that this collection knows exactly what it is, and it spares no expense towards empathizing both the nostalgia of both the games, and licenses that they’re based on -- this works to its benefit. 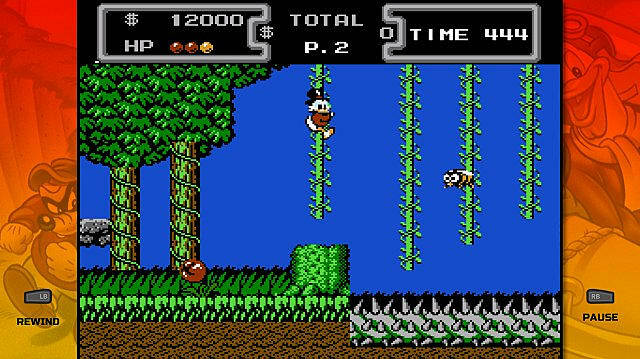 The Six games featured in this retro ensemble include the rare and extraordinarily expensive sequels to both DuckTales, and Chip 'n Dale Rescue Rangers alongside their originals, with TaleSpin, and DarkWing Duck to round out the run. Each entry is the authentic ROM that was dumped directly off of the real carts that housed them by Digital Eclipse, the same studio behind The Mega Man Legacy Collection, and similar to their work on the Blue Bomber tribute game, the effort to restoration in these games are nothing short of pristine. Running on the proprietary Eclipse engine, the default display is scaled at a 4:3 ratio with the option to expand to 16:9, or the fullscreen itself, with a bevy of output filters that can enhance the retro ambiance that it aims to deliver. The choices for overlays are either TV mode, which compiles the compressed resolution of the visuals through familiar scanlines, or the Monitor display, which emulates the sharp yet antiquated S-Video look that still features a restrained Screen-Door effect. The accuracy is a bit too faithful though as the games all feature the same performance issues that plagued them in their prime, with slowdown and screen flickering galore. The games all feature a brand new option to rewind the gameplay however far back that they need to, giving back a virtual endless loop of second chances to players who may not be prepared for the deceptively crushing difficulty that some of these games hold (I’m looking at you Rescue Rangers 2.) While the new option is certainly a welcome one at points where the challenge in these entries can be especially harrowing, it’s a modernization that somewhat dilutes the old-school flavor that makes the software so appealing. It’s a shame really because other than working as a helpful do-over, the new ability is a bit lacking in its potential, lacking any options to limit the number of times you can use the rewind feature in one play-through for example, or any unique challenges where they could be used to alter certain aspects of each title’s gameplay. 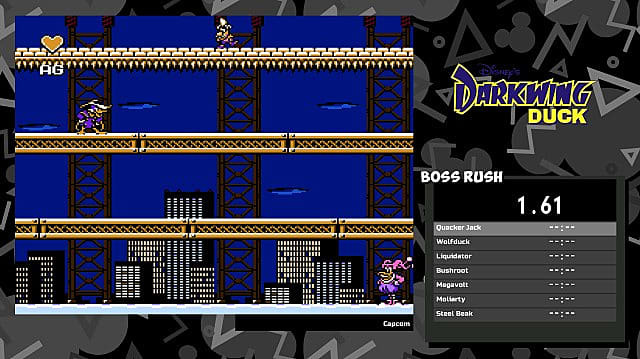 Other new additions include a Boss Rush Mode, and Time attack mode, and in terms of gameplay, are the most engaging of the extras that were bundled -- Boss Rush Mode in particular. The Battle gauntlet will pace you through each boss that its respective game has to offer where you’ll race the clock to until you best the final big baddie to finish the run. Aside from the appeal of challenging times with other on the online leaderboards, all of the end level face-downs are engineered to challenge the player’s mastery of the mechanics with the tightest situations that the games have to offer. The Time attack modes are another welcomed expansion, incentivizing skillful gameplay with yet another online leaderboard that showcases the fastest times earned by the dedicated few who have taken their intimacy of the Capcom classics to a professional level. 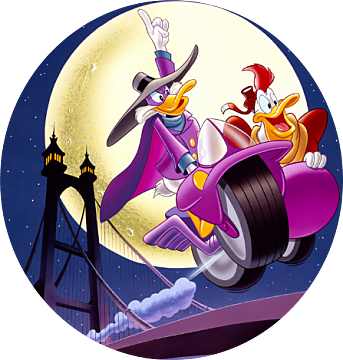 Easily the best element of The Disney Afternoon Collection is the Museum mode, where players will get a first-hand look at original assets and promotional materials of all six games, along with some extras. They are all peppered with insightful facts that demonstrate the labor of love that Capcom Japan put into the side-scrolling adaptations of beloved Disney properties. From instruction manual scans and promotional print ads, to the original boxes that the games were sold in, are all digitally remastered with a level of visual fidelity that you could never have imagined, like, the resolution on all of these pieces are just jaw-dropping. 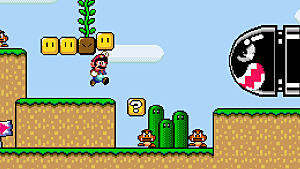 The soundtracks can also be accessed for each title, including cult-favorites like backdrop melody to the Moon level from DuckTales, and the J Level’s background score from Chip 'n Dale Rescue Rangers, all though they unfortunately haven’t translated so well, often cutting out or skipping over soundbites, or clipping in between chiptunes altogether in a jumbled mess. Shoddy playback functionality of the excellent soundtracks in the extras notwithstanding, the labor of love is worn proudly on the sleeve of this collection’s colorful exterior as Digital Eclipse have truly outdone themselves with the production value that The Disney Afternoon Collection has to offer. Traveling down memory lane with these games isn’t just a joy to those who’re revisiting these adventures, they’re also a gateway to the past that can bridge the gap between the generations of yesterday and today. 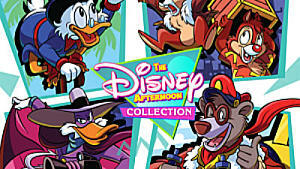 The Disney Afternoon Collection is truly a testament to the rich past of video games that we have yet to fully explore the way that Capcom and Digital Eclipse has with this arrangement of 8-bit software, and is an incredible steal at just $20 to play these games. Download it to whatever hard drive you game on -- you won’t regret it. Note: This copy of the game was purchased by the reviewer on Steam. A ticket back in time, this collection will unfuzz memories of days where pixels weren't stylistic, and theme songs were the catchiest.